Mr. Chairman, I want to thank you for the opportunity to debate the War on Drugs in this forum. Mr. Chairman, as you probably know, the War on Drugs was not a response to calls from experts, it was not in response to recommendations from the medical community, or even the law enforcement community. Mr. Chairman, the War on Drugs was started by the agitation of racists, bigots, religious fanatics, believers in eugenics, extremist politicians, and power hungry diplomats. In other words, Mr. Chairman, the average ordinary American. 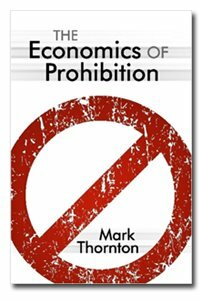 The War on Drugs was initiated by legislation that was passed not to help drug addicts and protect the innocent, but rather was The Economics of Prohi... Mark Thornton Check Amazon for Pricing. designed to control and marginalize minority groups and to push the United States into a leadership role in world diplomatic affairs. The War on Drugs is 100 years old today. It kills thousands of people, destroys untold number of lives, and wastes hundreds of billions of dollars every year. Plus it prevents us from using three of the most miraculous plants on the planet, even for their “legitimate” uses. As written, the Harrison Narcotics Act of 1914 was legislation that established a tax and registration requirement on narcotics and cocaine. Politicians and journalists openly targeted Chinese immigrants, Southern blacks, and Mexicans with outrageous propaganda. The real priority of the legislation, however, was to comply with the first international drug control treaty, the International Opium Convention of 1912. As implemented, the legislation quickly evolved into an outright prohibition. Enforcement bureaucrats argued that doctors prescribing narcotics for drug addiction was an illegitimate medical practice. The courts ruled in their favor and addict-maintenance medical practices and addiction clinics were forced to close. Marijuana prohibition went national with the passage of the Marijuana Tax Act of 1937. It too quickly changed from a measure to tax and regulate into an outright prohibition. Even hemp, the non-intoxicating form of cannabis was banned! When propaganda claiming that marijuana was deadly and caused insanity, violence, and criminal behavior was debunked (aka Reefer Madness), the “gateway theory” was born to fill the void. The gateway theory posits that while marijuana might not be addictive or dangerous, it would lead the user to try the hard drugs, such as heroin. This theory became the prevailing view in the second half of the twentieth century. 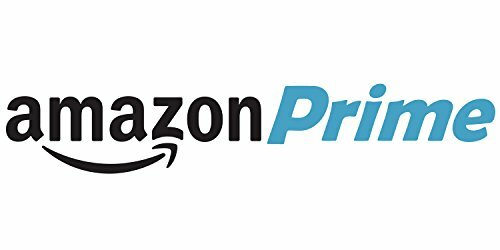 Prohibition Encourages Drug Abuse Amazon Prime (One Year... Check Amazon for Pricing. In my dissertation, I showed that the gateway theory did not explain the movement toward harder drugs. This research was subsequently published in The Economics of Prohibition. I showed that it was actually prohibition enforcement itself that created incentives for suppliers to make drugs more potent e.g., more potent marijuana, and to switch to more potent drug types e.g., smuggling cocaine instead of marijuana. It was the case that the markets for narcotics, cocaine, and marijuana had problems and concerns, but as Mises Institute Summer Fellow Audrey Redford has shown, it was also the case that these markets were already impacted by numerous state and local regulations and prohibitions, by heavy tariffs, the Pure Food and Drug Act of 1906, and by a host of state and local alcohol prohibitions and restrictions. What history does reveal is that the initial legislation that became the War of Drugs was clearly the result of bigotry and the desire to suppress minorities, and the desire to become a big player in world diplomatic affairs, not a desire to help drug addicts. What has the War on Drugs accomplished? It has not reduced access to illegal drugs. It has not reduced illegal drug use or abuse. It has not reduced the rate of addiction. If anything, the rates of use, abuse, and addiction have increased over the past century. Prison population statistics clearly indicate that it has been used to suppress minorities. It has also greatly increased the powers of law enforcement and the legal system and reduced the legal rights and protections of citizens under the tradition of the rule of law. It has greatly increased the militarization of the police and the use of the military in police work. It has also led to a significant increase in US political and military intervention in foreign nations, particularly in the drug supply nations of Central and South America. The direct problems caused by the War on Drugs are too numerous to list, but they include crime, corruption, and violence of the black market. Indeed it is the number one cause of crime, corruption, and violence in the United States, as well as many of countries of Central and South America. However, as we pass this miserable milestone, there is great cause for optimism. There is a rising ideological tide against the War on Drugs. Medical marijuana legalization has been passed in twenty states, recreational marijuana has been passed in Colorado, Washington, Alaska, and the District of Columbia, several states and cities have decriminalized marijuana so that the majority of Americans can no longer be put in prison for marijuana consumption. Demographically, this rising tide is even stronger because only the Silent Generation (ages 69 to 86) strongly supports marijuana prohibition and they are dying off. More generally the “social mood” continues to move in the favorable direction from “government is the solution” to “government is the problem.” This positive change in ideology also seems to be improving in Central and South America, Europe, and elsewhere. The fact that more people see the solution for the drug addict as not illegal markets, high prices, and the threat of imprisonment, but in education, medical treatment, counseling, and social pressures means that it is possible that we could see the entire War on Drugs ended in our lifetimes.